Many technologies, not just document collection, can create a burden on the organization that implements them. Typically, this is because the system is overly complicated or requires massive system resources. However, it does not have to be this way. 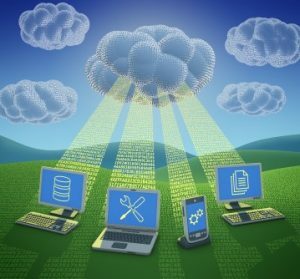 With the advances in cloud computing, Block Chain, and Computer Vision, document collection over a Document Exchange Network such as “ShareCredentials” can be implemented quickly and cost effectively. Let’s understand how modern technology is changing Document Collection process and provides a single seamless window to exchange Documents. Document Exchange Network (DEN) is a trust based, ownership driven system where document is owned by the person which it belongs to. It is only shared among the member of the network, as and when document is requested from the verifying party. The party requesting document knows how long he /she would need the document, and party submitting the document knows what is being shared, how long it will be used and why it is shared. When the retention days are reached, the document disappears from the requestor’s visibility. The integrated nature of document sharing makes DEN a revolutionary new way of managing external documents. 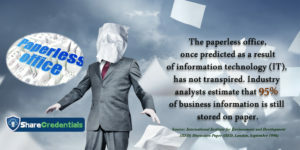 It takes care of document collection, retention, storage and shredding. 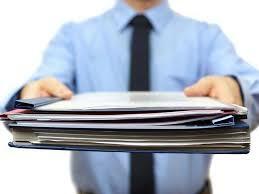 Document collection is based on Checklists maintained by the Requesting Authority. Checklists are nothing but a list of document a Requesting Authority requires for managing/approving a particular Case. CheckLists can be revised to create newer versions and it can be archived to keep track of past collections. Check List also specifies retention days that acts as the date on which documents will disappear from the reviewer’s visibility. 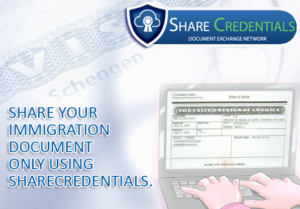 Credential Management is a key feature of Document Exchange Network. It can be the necessary ingredient or the byproduct of the system at the same. Credentials are personal documents that Citizens and Corporate citizens accumulate living their lives or running their businesses. Documents are classified and stored in an encrypted format. Documents can be redacted to hide sensitive information and can be notarized, certified by a friend to make it trustworthy. Document collection is initiated by requestor who sends the checklist for which document needs to be collected. A notification is sent to the recipient who receives the notification and opens the checklist. 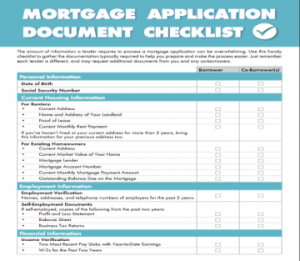 The system then allows recipient to match the checklist with the documents recipient has, in absence of which a more relevant document can be uploaded and matched. 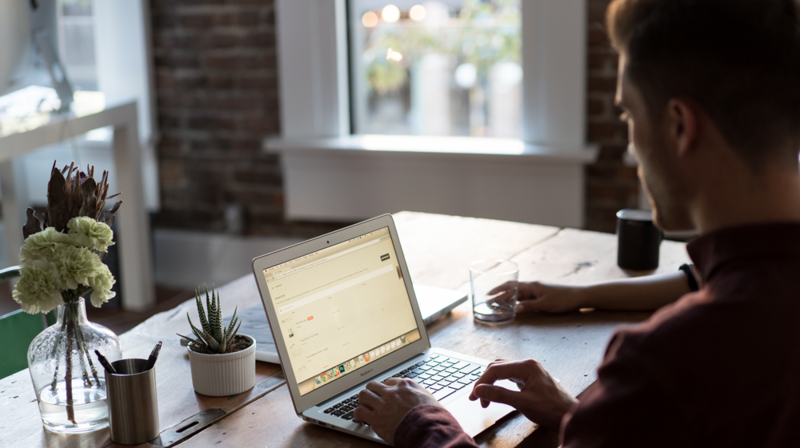 Once all check list element is matched with the documents in the system, a notification is sent to the requestor who reviews the uploaded document and approves it validity. Invalid documents can be marked and the user can match the document again. 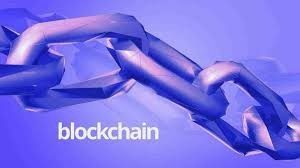 BlockChain is an open database that can record transactions between two parties without the need for a central coordinating authority. Transactions are validated using ‘consensus’ mechanisms and recorded in ‘blocks’ of data which are replicated across the network. Once recorded, the data in any given block cannot be altered retroactively without the alteration of all subsequent blocks. The Document Exchange Network, leverages key attributes of BlockChain, such as Immutability, Consensus and Encryption to provide a stable, reliable platform for document authentication and verification. 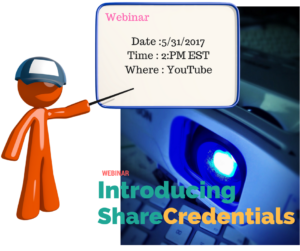 ShareCredentials is World’s first Document Exchange Network that makes Document Collection Easy, Reliable and Verifiable in a safe and secured Eco-System where benefits are reaped by both requester and requestee. Salesforce.com has transformed the enterprise software market with cloud computing. Now they are leading the shift to the Social Enterprise. Social enterprises leverage social, mobile, and open cloud technologies to put customers at the heart of their business. ShareCredentials for Salesforce is the most comprehensive Document Management software available on clod. 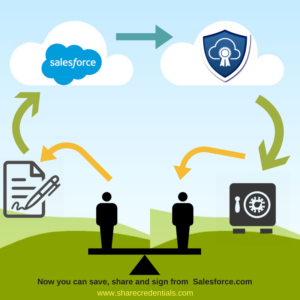 The Document Exchange Network from ShareCredentials provide Salesforce users a single window to Save, Share and Sign Document in a secured and certified eco-system. ACCELERATE – Complete and sign documents in minutes – Surprise your customer with prefilled documents and stored signatures. ACCURATE & SECURE TRANSACTIONS – Automate workflows and automatically update existing systems. Safe, secure and legally binding with a complete audit trail and 99.99% system uptime. ENGAGE YOUR PARTNERS – Provide your partners the convenience of signing. 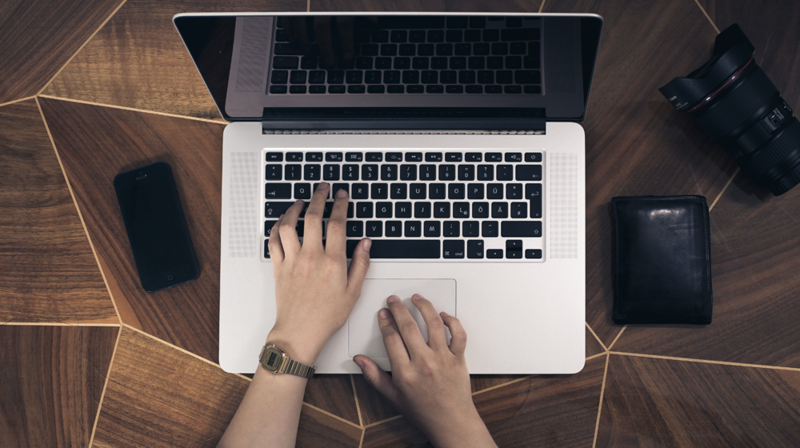 Submitting documents and exchanging information, anywhere, anytime, on any device, or in-person. Find us in AppExchange and call us at 510-240-5768 to know more, or email sanjay.gupta@sharecredentials.com to discuss your business need. If you ever thought of joining the trend and going paperless in your office, think again. There is nothing wrong with that antique metal cabinet where you keep all your files. It’s true, you have a metal cabinet in every office in your building and some colleagues have three or more of them. It’s ok to lose a document now and then – just a good opportunity to remind yourself we are all flawed human beings. Plus, aunt Gemina approves of the décor, she claims it’s vintage. Your immigration documents are the first friend on the foreign soil. Always have a copy saved at ShareCredentials.com. Your immigration documents are the first friend on the foreign soil. Always have a copy saved at ShareCredentials.com. Share it when you are requested, otherwise the document stay safe and you know whom did you share the document with. Visit www.sharecredentials.com today and create your profile to save your immigration documents.